Creativity is the energy that drives everyone at the UCA Farnham to invent, explore and collaborate. UCA Farnham has over 2,000 students studying a wide range of creative arts subjects including fine art, architecture, photography, textiles, crafts, film, graphics, journalism, fashion and advertising. The Farnham campus offers a cutting-edge creative environment, packed with the latest equipment and resources. With a unique community of artists, designers, makers, writers and researchers. The university has two different areas on Falkner Road open to the public: The Craft Study Centre and the James Hockey and Foyer Galleries. 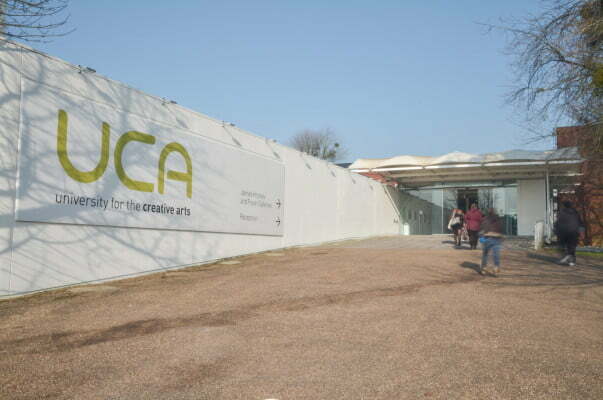 The sculpture park at the UCA Farnham has been developed in the grounds and green spaces surrounding the University since 1998. Open to the public, the sculpture park exhibits works by sculptors with a national reputation, graduates and students of the university. See the sculpture park map.